As important as it is to work towards improving your organization's levels of employee engagement, there's no getting around the fact that it can be rather difficult. 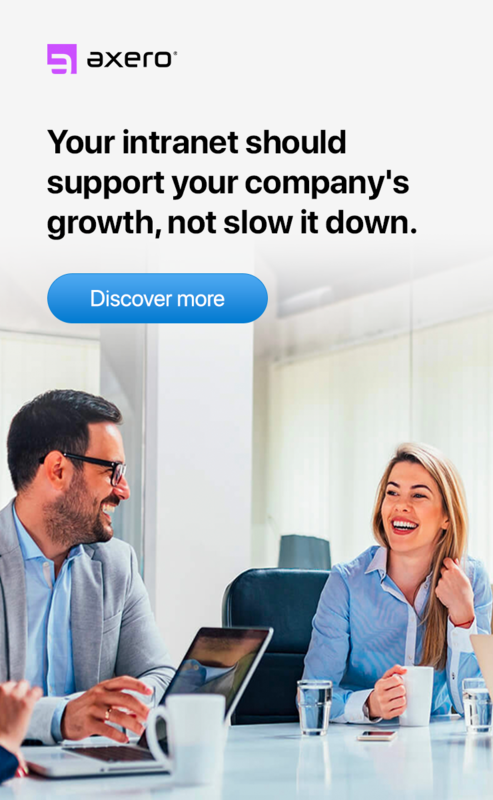 CEOs, managers, and "higher-ups" need all the help they can get in order to ensure that their staff is on the right track, especially as businesses begin to grow. After all, everyone wants to lead their team to success, and sometimes all it takes is a few fresh ideas to help rejuvenate your employees and increase their productivity to a large degree. Every once in a while, it helps to have a cheat sheet on your side that can help you to steer your team in the right direction. There's no harm in referring to the following employee engagement ideas from time to time, as they can help to bring your team together and encourage empowerment, engagement and improved performance. They're also a great way of how to motivate employees in your organization. Keep these ideas close by, and you'll start seeing results in no time. It's common for modern-day employees go through the workweek feeling uncomfortable with the concept of speaking their minds. This discomfort can result for a number of reasons, but the most important thing to focus on is trying to break it down. When people don't feel as if they can speak up, they may be holding back valuable ideas and solutions that could help to push your organization forward. If you want your employees to feel comfortable speaking their minds, you have to make it clear that they can do so without fear of criticism and judgement. Promote and practice candor. Keeping an "open-door" policy is essential, and you can help to encourage your employees further by holding roundtable discussions in which they can discuss anything that may be on their minds at the moment. The more you foster an open, safe space for communication, the more likely it is that your staff will bring great ideas to the table. In larger organizations, many employees go through their days without knowing their colleagues very well, if at all. The bigger a company gets, the more of a chance there will be a disconnect. As a manager, it's important to place focus on helping your employees to get to know each other better, and there are a number of fun ways to go about doing so. You could play office games. Just watch all of the seasons of "The Office" and you'll get more take-aways than you'd get from reading every employee engagement book on the planet. You could just plan a happy hour at the end of the workweek .... it's a great way to cut to the chase, and to get employees to communicate with each other on a more personal level. There's really nothing like taking your employees out to a bar, throwing down a few hundred bucks from the petty cash, and getting them tipsy ... right? Ha. Ya know, this kind of thing happens all the time. One can learn a whole lot about another when there's alcohol involved. Some co-workers may be into this, but there may also be many who are not. Understand this and you'll be ok. Keep an open mind. There will be a clear separation between those who are cool with this and those who are not. :) Cherish these moments. ^ SIDE NOTE: I actually had a boss that did this ... he'd say, "We have a new guy starting tomorrow, so put on your drinkin pants, let's give him the official welcome to the team." Funny thing is ... although it was a basic job, it sure was fun! You should always be sure to allow your staff to interact throughout the day and outside of work without having to worry about whether or not they're being watched or judged. Conversations related to business are surely important, but that doesn't mean your staff doesn't need a break every once in a while. To be human is human. When an employee begins to experience problems with engagement, it's essential to step in as quickly as possible so that things don't progress further. Some managers simply don't take the personal approach that is often necessary for getting through to an employee, and instead rely on canned methods and techniques that will supposedly help to raise engagement levels. Unfortunately, these individuals are taking the wrong route the vast majority of the time. Improving your employee engagement model means serving as a mentor for those who are facing issues, regardless of how busy you may be. Offer your help. Drop what you're doing and just help! Setting aside just a bit of time to help someone who is struggling in their job can go quite a long way, and you can always task other managers with taking the reigns if you truly don't have the time to do it yourself. So long as someone is mentoring the employee in need, you can rest easy knowing that no one is being left behind. Some managers believe that one of the best way to keep employees engaged and performing well is to reward them on a regular basis, even if they're not performing up to par. Unfortunately, carelessly dishing-out rewards won't serve to do your business any favors and may even hurt performance and engagement even further. Instead, you've got to be quite careful with how you utilize rewards. Case in point ... if you reward your dog every time he sits down, rolls over, or fetches a stick he's going to get comfortable. And when he gets comfortable, he poops on the floor. Rewarding employees is certainly something that you should do from time to time, but that's not to say you should do so carelessly. Pay close attention to the progress made by your employees, and don't hesitate to let them know WHY you're rewarding them, whether it be via a bonus, salary increase, a pat on the back, a verbal thank you, or otherwise. As long as you make a point to clarify the reason for the reward, you'll effectively help to increase the chances that they'll remain engaged in the future. Take a look at any employee whose engagement levels seem to be suffering, and you might find a constant — they're likely to prefer to work alone. Collaboration is one of the most important things for businesses to focus on improving, as it can help to improve ideas, cut down on wasted time and — yes — improve employee engagement. It may seem like a lofty goal if your employees tend to stick to themselves, but it doesn't have to be at all. One of the best ways to improve collaboration in your company is to implement online collaboration tools. This serves as a virtual platform that all of your employees can work off of, which means they'll have little choice but to work with one another, regardless of how shy or disconnected they may be. It's important to view employee engagement software not as a way to "force" employees to collaborate ... but ... as a tool for motivating employees to branch out and work more closely with their colleagues. 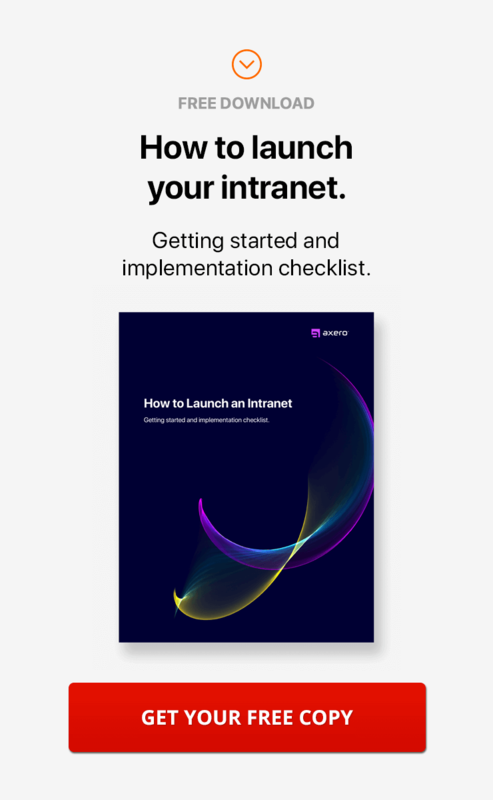 Once they get the hang of how to use it, social intranet software becomes an incredibly powerful tool that will likely serve a huge role in the future of business. If you want to have a staff full of engaged employees, you've got to take steps yourself to help them remain happy and healthy. Wellness is important for any professional, yet stress and other life factors can sometimes get in the way and cause people to neglect exercise and healthy eating habits. In the end, it stands to reason why so many businesses have issues with engagement — it's a product of modern society. Go have lunch with your coworkers. Have lunch with those that report to you. We're humans, we stuff food in our face all day, and we do it socially. So get social and go stuff some food with the people you work with. There's a lot you can learn about people, and yourself, based on how and what they eat. Encouraging wellness within your organization doesn't have to be hard. Some companies provide their employees with gym memberships, for example, while others choose to bring in massage therapists or other professionals to help staff members de-stress and maintain clarity. It can even be as easy as stocking healthy snacks in your company refrigerator for employees to turn to if need be throughout the day, as every little step towards wellness will serve to improve levels of engagement in your organization. Every employee has a set of goals and responsibilities they need to work on. One of the biggest contributing factors to falling engagement levels, is the confusion over what one's role actually is. Keep in mind that sometimes, things simply get lost in the mix, and it can take time to realize what happened before you're able to identify the issue and take action. Clarifying goals and responsibilities is essential if you intend to improve your employee engagement strategy ... a staff member simply can't be engaged in something they don't understand. Whenever you kick off a project or delegate out a new task, it's essential to go into the logistics in as detailed a way as possible, taking time to answer any questions that your employees may have. You may end up spending a little more time explaining things, but the fact that you'll be likely to experience less headaches as a result, makes doing so more than worth your while. There's nothing more depressing for a manager than hiring someone who seems as if they'll be an excellent fit for the job, only to find that they simply aren't nearly as engaged in their work as they should be. Sometimes the issue stems NOT from the individual, but from the way they're onboarded. Joining a new company can be a very stressful experience, and the more help a new employee can get, the better they'll be at their job. It can be tempting to allow employees to fend for themselves during the onboarding process instead of helping them through each step, but you'll benefit greatly from being there in case they're in need of a hand. Onboarding doesn't have to be a lengthy process, but it most likely will be if you don't help to move things along. CEOs and those in managerial positions should make themselves available when new employees join the team, as this will help to ensure any issues that pop up are negated as quickly as possible. The best managers are those who hold their employees accountable for their performance, yet give them the flexibility they deserve. These are professional adults, after all, and they don't need someone breathing down their neck at all times. It can be quite difficult for those in leadership roles to give up control, especially when working on high-profile projects. That said, it's essential to realize just how much of a difference a little bit of flexibility can have on an employee's performance and level of engagement. There are plenty of ways to prove to your employees that you're willing to give them the flexibility they need. You could allow them to work from home, for example, or take a personal day if need be. So long as they keep up their end of the deal regarding the work they're supposed to get done, there should be little to worry about. Note, however, that it's important to keep an eye on how certain employees respond to extra flexibility, as some may take things too far, in which case an intervention may be warranted. No manager wants to admit that their employees may someday go on to work at a different company ... but that's typically the reality of things. In today's world, the sky's the limit, and many people put a great deal of effort into advancing their career as far as possible through education, workshops, and other enrichment tools. A good manager is one who is there to help their employees reach their goals, even if that means they may someday leave the company. If you want to improve engagement levels, you need to show your employees that you're here to help. You can do this in a number of ways, such as paying for classes, allowing employees to attend workshops during workday hours, arranging internships, and more. Most importantly, you should strive to be there for your employees should when they have any questions about YOUR career and how you got to be where you are at. Sometimes, all it takes is giving out some simple advice to let someone know that you really care. Showing up to an office every day can be a trying experience after a while, especially if the environment isn't altogether comforting. No one wants to sit in a dimly lit cubicle between the hours of nine and five ... yet this is, unfortunately, the way many people live their lives. Managers, CEOs, and the "higher ups" shouldn't settle for such a dull work environment, as it will do nothing to help push an organization in a forward direction or improvement engagement levels. All this said, you should strive to do whatever you can to create an office environment that is unique, comfortable and reflective of your branding. Creating culture within your office is something that is typically done one step at a time. Artwork, music, branded mugs/dishes, even an office pet are just a few things that can help to add character to your work environment, but this barely scratches the surface of what is possible. So long as you constantly keep in mind the notion that your office should be fun and inviting, you'll be doing what it takes to improve employee engagement levels and make the workweek just a little bit less stressful. Having a cheat sheet by your side can help to ensure things don't ever get out of hand, especially if you're managing a large staff. The more of the above ideas you can incorporate into your organization, the better. Just be sure to avoid overwhelming your employees, and all will be well. Every manager wants to have employees on-staff that have a great deal of experience and have incredible qualifications on their side. After all, these things do matter, and great experience can sometimes signify a great employee. Perhaps the most important thing to remember when it comes to hiring, however, is that traits and behaviors should be focused on above all else. Everyone can get ahead if they try hard enough, but this doesn't necessarily mean they're going to be engaged in their work. More often than not, you can spot the traits that might make a person a great candidate to join your team from miles away. Employees that are most likely to be engaged in their work are those who are excited, personable and not afraid to speak up. Typically, these traits will come out during the interview process; especially if you take the time to conduct a thorough interview with each and every candidate. A resume may be able to tell you what type of professional experience a potential employee has under their belt, but there's no substitute for a face-to-face interview when it comes to getting a sense of someone's attitude. One of the most unfortunate aspects of modern office culture is that many people don't associate the word "fun" with work. It can seem at times as if the two are mutually exclusive, with fun being something experienced outside of work hours and the office. The fact is, that there are a number of ways to incorporate fun into the workday, and the benefits that doing so can have on employee engagement levels within your organization are countless. You don't necessarily need to disrupt your normal workweek in any way to incorporate fun into the office. Starting a company band and jamming on Fridays, holding contests within your organization, and taking a little bit of time out for some physical activity are just a few ways in which you can make the day a bit more fun for you and your employees ... each of which can help to lower stress levels and serve as bonding activities for your workers. As fun can help to break the monotony of the day, it can also help to improve employee engagement levels. Employees want to know that the work they're doing is being appreciated and meaningful ... and if they do, they will be engaged. They also want to be given the opportunity to shine, which means they have to have the ability to do what they do best as often as possible. The biggest mistake that a manager can make is assigning tasks to those who work under them that simply don't match their skills ... which is something that can not only lead to poor performance, but will no doubt have a negative impact on employee engagement. If you want your employees to stay as engaged as possible, you have to allow them to focus on their skills. First, ask them what they feel most comfortable taking on task-wise (which will help to let them know that you're paying attention). They'll most likely identify areas in which they have specialties that can also benefit your organization, so take this information and keep it top-of-mind when assigning tasks. Over time, you'll be building a team of individuals that are experts in their own right. A great employee is one who is driven and focused on improving his or her own career as much as possible. You don't want a complacent ... because even if they're engaged in their work at the moment, this particular trait will no doubt lead to problems for your organization down the road. Encouraging your employees to network with others (both inside and outside of your organization) is a great way to help them focus on building their careers, all the while helping them to be more engaged in their current roles. There are so many ways to network in today's world that it can be relatively head-spinning. Take a look at the popularity of social media and professional networks like LinkedIn, and it becomes quite clear just how much focus is placed on networking in modern society. You can encourage your employees to utilize these services for outside networking and implement company intranet software for internal networking. Send your employees to tradeshows, conferences, workshops, educational talks ... send them to events where they can learn something! The possibilities are endless, and the more your employees focus on building their networks, the more your business will benefit in the end. The popularity of the "mission statement" in today's business culture is difficult to ignore. It seems as if every company has their own statement to the public, some of which can be extremely well-composed and honest ... to those that are being pushed out by the best marketing-manipulation-seduction teams in the world. What often goes overlooked when creating a mission statement, is authenticity. A simple, to-the-point phrase may have quite a bit of impact when properly presented, but this isn't to say that it actually means something to your employees. Or anyone else. Your employees want to know that they are part of a greater good, which is why it's so important to ensure that the mission statement you end up drafting is one that everyone on your team can get on-board with. Ideally, you want employees to view your company as an entity that takes action towards reaching important goals and finding solutions that will benefit the community as a whole. This is only possible when a true, proper mission statement is created, which can take quite a bit of time and brainstorming. Getting your employees involved in the process is a great way to ensure that you're not missing the mark. The best businesses are those that place focus on giving back to the community. Many employees will be quick to say that they'd prefer to work for a business that places some focus on philanthropy ... as this not only looks good on their resume ... but allows them to go home at the end of the day knowing that they're doing a good thing. Philanthropic organizations tend to have high levels of employee engagement. As anyone who is experienced in philanthropy knows that there are many more ways to get involved in the community than could ever be listed in a single space. You can donate money to help fund a local non-profit, for example, or pay for renovations of historic buildings in your area. Make a list of different angles you might wish to take, and don't hesitate to ask your employees for feedback and ideas of their own. If as many people in the organization as possible have interest in a single form of philanthropy, engagement levels will surely rise. No employee is going to turn down a raise ... and there are plenty of reasons for giving one ... you can throw money at any problem. Sometime people aren't looking for money. Maybe they're looking for something else? This being said, there are other ways to reward your employees for a job well done than giving them money ... some of which can be even more effective when it comes to improving employee engagement. As far as rewards go, you may want to consider giving extra time-off to employees that have done well on a project, or perhaps tickets to go see their favorite band or sports team. If they go eat chinese food next door everyday, get them a gift card. Write them a handwritten thank you card, something they can hang at their desk. Ask them if there's a book that they've been wanting to read, and get it for them. This will help to clarify that you truly care about your staff, and it doesn't have to cost you nearly as much as increasing their salaries might. If there's an employee engagement idea that practically every employee can attest to, it's wanting to be given credit for the hard work they've done. Giving your employees visibility within your company can have a huge impact on their levels of engagement ... and it's often exactly what it takes to help someone feel more in-touch with their job. Sometimes, all it takes to give visibility to an employee is to put their name in or on something that other people will see. If someone had a huge part in spearheading a campaign for a new product or service, give them credit in a press release or mention them in the company newsletter on your digital workplace platform. @Mention them in your Intranet (where other people can see it) and thank them for a job well done. The more you can give them visibility, the more likely they'll be engaged. The workday can be long at times, and it can be difficult for some employees to get the time they need to work on personal enrichment. Most people want to learn something! So give them time to learn it and better themselves. The weekend is only so long, and many people are exhausted at the end of the workday. If you want to improve engagement levels, you may want to allow time throughout the day for people explore something new. Each day, allow your employees to take a half hour or so to work on something they're passionate about, even if it isn't work-related. It may seem as if you're losing time doing this, but in the end, you'll actually be making the environment more comfortable for you employees, which will lead to a more engaged staff. 21. Celebrate Your Staff: Birthdays, Accomplishments, etc. Most managers know they should put effort into recognizing their employees for the work they do, but that's not to say that staff members shouldn't be recognized simply for being a part of the team. When employees feel like they're getting the proper amount of attention, they typically have more of a pull to be as engaged as possible in their work. Celebrating your staff is essential. Pick and choose specific occasions to celebrate, with time-out from the day ... these can include birthday parties, work anniversaries, the birth of a child, or major professional achievements. Or ... better yet ... nearly every day of the year has designated as some type of holiday ... they might be informal, weird, stupid, meaningful ...etc. Even more important, is to pay attention to random accomplishments, be they personal or professional. Do a Goolge search for "employee engagement activities," and the amount of results that pop up will most likely overwhelm you. This is because employee engagement activities really do hold a great deal of importance in today's world, and most managers are doing everything possible to keep their staff engaged. The best way to find employee engagement activities that work for your team is to experiment with a number of different ideas and see what sticks. Ask your staff what they like to do for fun ... then experiment with those activities. Keep your staff's preferences in mind when choosing activities to try, and you'll no doubt find options that will benefit your organization. Most businesses have a petty cash fund sitting around. It can come in handy for parking and other small expenditures, but there are better ways to utilize your petty cash supply. What many people don't realize is that petty cash can actually come in handy in regards to improving employee engagement, and it all has to do with bettering the quality of your office; specifically, the front desk. The next time you think of it, give your receptionist a chunk of petty cash in order to buy candy, toys, and other fun things to make the front desk just a little more inviting. A fishtank that your employees have to take turns feeding? An ant farm? Sea Monkeys? A chia pet? You'll be surprised to see how much of a difference a more festive and playful reception area can have on your team's morale, all at an exceptionally low cost. After all, you've got to use that petty cash somehow! On a hot, sunny day, just about everyone can attest to wanting to be outside ... instead of within the confines of an office. While there's no getting around the fact that the work week must go on, it never hurts to go out of your way to give your staff a break from the pressure. If the heat is too much, cool them off. There's no better solution than to take your team out for ice cream. Going out for ice cream is not only an excellent way to beat the heat, but it'll give you and your team a chance to catch up and chat about things that might not come up just hanging around the office. It's a low-cost method of allowing your team to step away from the action and take a breather, and you can make it a regular thing during the summer if the idea resonates with your staff. It's just one more aspect of the day that your employees can look forward to, which can have a number of positive effects on engagement levels. 25. Encourage Your Staff to Work on "Pet Projects"
One of the best ways to make an employee feel as if they're truly important to the company they work for is to task them with taking the reigns and putting control directly in their hands. Chances are, each and every member of your team has a unique idea or two to contribute to the overall goal of your organization, and the more you encourage them to work on a project under their own terms, the more likely it is their ideas might come to fruition. Each week, strive to encourage your employees to spend approximately 10% of their time nurturing a "pet project" that they feel might be beneficial to your company, regardless of what it may be. In this way, your team will feel engaged in their work, stress levels will be lessened and you may end up stumbling upon an idea or solution that could push your business in an entirely new direction. If there's one thing that can make employee engagement levels soar, it's helping your staff to learn the ins-and-outs of the business entirely. What this means, is that members of your organization need to have the chance to see what it's like to work in a department other than their own. After all, you can only expect to get a small part of the picture if you're constantly stuck in your own world, and the same can be said for any other member of your company. By allowing your staff to move around from one department to another on occasion, you'll not only help employees to get to know each other better, but everyone will begin to see the ways in which the business truly runs. This typically leads to a more engaged workforce, and each employee will bring with them the information they take away from working in other departments to apply it to their own position. It's truly a win-win situation, and more than worth experimenting with. Ideas are very much like water. When things are flowing, the benefits are as clear as day, and everyone is in a good mood. A lack of ideas is like a drought, starving your business of potentially and stifling progress. The best way to keep ideas flowing is to hold regular brainstorming sessions with your staff. Promote candor and open talking. No criticism. No discussion is wrong. Allow them to articulate ways in which they feel your organization could benefit and see progress, and don't be close-minded about anything they may say. Sometimes, all it takes is a seed of an idea in order to spark something magical, and you'll be missing out on an ocean of potential if you ignore what your staff has to say. It's amazing just how fast time can go by when you and your staff are focused on the tasks at hand. Remaining mindful of time that has passed is essential to getting the most out of that which you have, and it's important to check-in with your staff more than not. Checking-in will not only allow you to monitor the progress of your employees, but it will also cut down on how much work it will take to fix any potential issues that might come to light. Every few months, plan on having one of your managers do a "side-by-side" with an employee, during which they'll follow the person through their day in order to get a better sense of their work tactics. This is also an excellent opportunity for your staff and managerial team to bond with each other, it's a learning session for all of those involved ... which can help to boost engagement levels. Plus, they'll have a chance to ask any questions that may have recently been on their minds. Contention in the workplace can be difficult to avoid at times, especially when it comes to holidays and sick days. Often, employees will get the sense that they aren't receiving the amount of paid time off that they feel they deserve, and these feelings can sometimes build to result in problems related to employee engagement. While there's no easy way to avoid this problem, one method you could experiment with is allowing your staff to choose the amount of yearly sick days they have off. It stands to reason why some managers might get be uncomfortable with this concept, but there are a number of benefits that come along with taking the risk. For one, who the hell wants to be working side-by-side with someone who is blowing snot and hacking up lung chunks? Not me. If you're sick, stay at home and get better ... and if you really want to work ... work from home. When your staff is involved in the process of scheduling sick days, they won't be able to complain about or feel slighted with the end results, hence eliminating a rather common issue that has plagued businesses of all kinds for many years. Getting to know each and every member of your staff on a personal level can be quite a challenge if you're managing a lot of people. I'm really bad at remembering people's names. I can tell you what they were wearing, what they talked about, if they were confident or not ... but when it comes to their name ... its just tough. This is especially true for CEOs and managers in organizations that employ a lot of people ... in which case learning everyone's name by heart can seem next to impossible. The importance of operating on a first-name basis, should never be overlooked, as doing so can come along with a number of benefits. No one wants to be viewed as a cog in the wheel, and feelings such as this can have detrimental effects on levels of engagement. When you call an employee by his or her first name, they no longer feel as if they're just a number. It may take you quite a while to learn everyone's name, but the important thing is that you try. Even if you slip up from time to time, your staff will appreciate the fact that you're putting in the effort to get to know them on a more personal level. For employees that are concerned with upward movement within an organization, there's nothing more discouraging than working for a company that tends to hire from the outside only. Outside hires are more common than most people would like to admit, especially among businesses that are attempting to save money by hiring cheap. This won't do you any favors, and will only serve to cause your employees to feel further disengaged in their work. Hiring from the inside comes along with a number of benefits, specifically for as a great employee engagement idea. For one, the candidate will already have a strong handle on the ways in which your organization operates, not to mention the fact that there will already be working relationships with colleagues set in place. But perhaps most importantly, hiring from within will generate excitement among your entire staff, raising levels of engagement and promoting a more positive work environment — two things every great manager should be focusing on. Anyone who is familiar with The Office (BTW I love this show, I'm from PA and grew up about an hour from Scranton) .... anyway ... if you seen the show you likely remember the episodes which involved "The Dundees," the company's very own awards ceremony. It may seem like a goofy idea at face value, but there's actually quite a bit to gain from holding an awards night, and it can be a great time for you and your staff to get together and celebrate a year's worth of achievements. The sky's the limit in terms of how you can plan an awards night for your organization. You can do it in the comfort of your own office ... but why not rent out a space and really make it a party? Live music, catering, and anything else you can think of (themes come to mind) ... will all help to make your awards ceremony a hit, and you can pull off a party like this without spending too much money if you plan things out ahead of time. Just be sure you're creative with the awards categories! Again, ask you're employees about award categories and even let them vote on who should win awards. But remember to keep it in good fun. Suit and tie? Khakis and a polo shirt? T-shirt and jeans? Hawaiian shirt day? How about whatever they feel most comfortable wearing? Dress code can have a big impact on attitude, and it's been debated time and time again over which code of dress is best for maintaining a sense of professionalism while also allowing employees to feel comfortable throughout the day. Every office needs its own sense of culture, and the ways in which people dress can have a dramatic impact on the look and feel of your work environment. If you're open to switching things up, you might want to allow your staff to determine what their code of dress should be. When you're already working with a team of respected professionals, there shouldn't really be much of a concern over what one might wear to work. Allowing your staff to come up with a reasonable dress code that everyone can be happy with is an excellent way to boost engagement levels. If you've ever seen a good motivational speaker work their magic, chances are you already know just how effective they can be at helping to improve employee engagement / inspiration / motivation / whatever. I absolutely love going to hear smart people talk, no matter what they are talking about. Motivational speakers help to remind your employees just how vital a role they serve within their organization, and their positivity can often be exactly what the doctor ordered in terms of improving levels of engagement. Not just any motivational speaker will do, however; it has to be the right fit. Plan to have a different motivational speaker come in each month, and structure the visits in a way that will benefit your employees the most. In choosing an individual to come in and speak, it's essential that you take the interests and culture of your staff into consideration. Do your homework. Ask for references. If your employees are into music, consider bringing in a professional musician as a speaker; sports fans will respond well to local athletes. The possibilities for tailoring your motivational speaker program to best fit your organization are many, and the more focused you can get, the better. Throughout any busy work week, it's common for employees to want to branch out and do their own thing for lunch. While there's nothing wrong with people getting a little solo time in during the afternoon, communal lunches can be a lot of fun, not to mention beneficial to employee engagement. Holding a potluck lunch on Thursday (near the end of the work week) is a great way to get the team together and also helps everyone to save a bit of money in comparison to going out for lunch. Potlucks only work when they're structured and planned, so if you're just now introducing this idea to your staff, be sure that everyone is well-aware of when and where the lunch will take place, as well as what everyone needs to bring. The planning process is half the fun, as it allows staff members to come up with unique ways in which they can contribute to the party. See how things go, and if it's a good fit, you might want to have Thursday potlucks become a regular event. Want to make your employees really feel like they're an important part of your organization? There's no better way to do so than to bring them right into the hiring process. Having a staff member sit-in on an interview that you're conducting comes along with a number of benefits. For one, it makes them feel more engaged and appreciated. In addition, your employees' input can be very helpful in ultimately leading you to make the right decision regarding a new hire, especially if they've been a part of the company for a long period of time. As any interview process is typically awkward, it's important that you let whoever sits in know that you'll be doing the bulk of the actual interviewing. Just let them sit there and listen. Then when its over, ask them their thoughts on the candidate. It's fine for a staff member to ask a question or two, but too much can be overwhelming for the applicant. More important is asking your employee what they thought of the potential new hire after the interview is over, which is a great way to get a more well-rounded sense of whether or not the person might be a good fit. There's never a bad excuse for throwing a party, so why not make one up? If you've ever heard of the concept of "Christmas in July," or "Halloween in April," or an "80's party" ... you get the idea. This serves as a great platform for throwing a fun party that will help people to separate themselves from the workday and have a great time with their colleagues, and it's quite clear just how positive an effect this can have on levels of employee engagement within your organization. The "Christmas in July" concept is a fun place to start when planning a themed "holiday" party, but there's no reason why you can't come up with your very own ideas for made-up holidays. Try to align whatever you choose with the interests of your staff, and don't forget to put a fair amount of effort into the planning process. Hell, throw some of that petty cash on the table. After all, if you're going to take the time to make up a fake holiday, you really need to nail down the details if you want the party to go well. Just about every city or town has a number of local sports teams that play regularly, and tickets are usually inexpensive at the minor level. One great way to improve levels of employee engagement at your company is to take everyone out to a local game once a month, or even buy a season pass for your company. Many minor league teams will work with you in regards to pricing, and it's difficult to beat the experience of taking the entire office out for a game. And if you contact the sports team ahead of time, maybe you'll even get to meet some of the players. Take photos! People can be finicky regarding which sports they're interested in, so before setting out to make any major purchases (tickets or passes), be sure to at least ask everyone in detail about the team/sport they'd most like to go see. It's not always possible to make everyone happy, but you can at least come to find some common ground if you're up-front and take everyone's requests into consideration. Scheduling can be a difficult part of the job for any manager. Or, it could be a nobrainer. You're working M-F, 5 to 9 baby! But the days where every team member can easily commit to a Monday through Friday, nine-to-five position are quickly fading away. People are placing more focus on working remotely than ever before, and CEOs/managers are doing everything they can to accommodate the shift without losing too much control. It can be tricky to find the right amount of balance, but it's more than worth working towards. Instead of sticking to a rigid schedule that works for you but not everyone else in your company, allow your employees to dictate their own schedules. They should, of course, still end up putting in the same amount of time each week, but if you have the luxury of being able to remain flexible, how they structure those hours should be up to them. An employee who feels as if he is respected enough to make up his own mind about when to come into work will almost always remain fully engaged, as this creates a sense of trust that is difficult to come upon otherwise. The quickest way to gauge levels of employee engagement may be to simply give-out a survey to each and every individual in your office, but that's not to say it's the most effective. You can read more about surveys in my other blog post, Employee Engagement Survey Questions. Good or Bad? One way that you can get a lot of mileage is to come up with a number of different prompts and exercises that you can utilize to gain a better understanding of how an employee feels about the organization they're working for. The more creative you can be, the better. A favorite way to get a sense of an employee's level of engagement is to hand them a crayon and ask them to "draw the company" in their own unique way. It's not as simple as tracing the physical outlines of your office, but rather a way for employees to share the feelings they get when coming to work every day in an artistic manner. You might get a few blank stares with this one, but it's a great exercise that can be especially helpful for onboarding new hires. The days when you needed a thousand-dollar camera setup to produce even halfway decent photos are long gone. With today's technology, anyone with a smartphone and a good eye can capture something worthwhile. One way that you can help to further improve employee engagement within your organization is to hold an occasional photo or video contest, which can be a lot of fun even for those who have never experimented with a visual medium for creativity in the past. You can structure your contests in a number of different ways. It could be a "just for fun" situation, or you could actually hold a contest in which the photos/videos your employees make end up on your blog, or even as a part of your branding going forward. This is a fun way to get your staff to be more engaged in what's happening around them, and it's a very inexpensive tool for doing so. A common misconception among managers is that employee's only need to be recognized by higher-ups in order to feel engaged. There's no substitute for peer respect or peer recognition, which is why it's important for you to urge your employees to give each other a pat on the back every once in a while. This makes teams work more fluidly together and can add a genuine air of respect to the office that might not exist otherwise. Employee recognition cards are an easy solution for helping to spread congratulations around the office, whether they be physical or virtual in nature. Encourage your staff to pay attention to the achievements their colleagues make and prepare one of these cards to celebrate a job well-done. Anyone can give anyone else a "recognition card" for a job well done. In this situation, everyone wins, and there's no reason for any bad attitudes to get in the way of moving in a forward direction. Music is one of the few universal things that can truly bring everyone together, and there's no getting around the positive effects it can have in terms of helping people to destress. If you really want to turn Friday afternoon into a party, you should consider bringing in a singer songwriter. Having a band play while you and your team relax and celebrate the achievements of the week can be highly beneficial, and it's not nearly as different to make happen as you might think. The one thing to ensure that you're paying attention to when picking a band to play during the afternoon is respecting the tastes of your employees. You don't want to bring in a band or songwriter just because they appeal to you — this is about your team. Try to find groups that everyone can enjoy, and don't hesitate to set up a proper stage if you've got the space and time to do so! Want to improve engagement levels and appeal to the general public at the same time? Sponsoring a charitable event is one of the best routes you can take if this is what you're aiming for. Who doesn't want to do some good in this world?? ... and the more often you get involved in volunteer work or charity, the stronger your employees will be able to identify with what they do and who they work for. Sponsoring a charity event can serve as an excellent move, especially if things are planned-out well in advance. For best results, it may be worth your while to work with an event planner to ensure that everything goes off without a hitch. After all, you'll want to ensure that your event is a huge hit with both your employees and the public. This is one area where it may be worth your while to spend a little bit of money, as the benefits can far outweigh the costs. A business's corporate identity package is its bread and butter. It's what conveys a sense of who you are to both your staff and your clients/customers, and there's no getting around how important it is to put the right amount of work into creating a mind-blowing suite that includes letterhead, web content and every other type of associated collateral. Sometimes, the best design ideas come not from a high-dollar outside firm but from your very own employees, some of whom you may not even know are interested in the world of design. It can't really hurt to crowdsource ideas. The next time you set out to reinvent your corporate identity package, hold a roundtable discussion and invite your whole staff to attend. What you end up with at the end of the day could be as simple as a list of concepts or ideas, but it could also be as robust and detailed as a collection of design comps. Your creative team should, of course, be the ones who are leading the discussion, but it's important to open things up to your whole staff in terms of sourcing ideas for shapes, colors, fonts and everything in between. In attempting to figure out why an employee is showing signs of disengagement, it often comes down to them not feeling as if they ever get the chance to make important decisions. You can't always give up control when it comes to making decisions that could change the path of your organization, but there are certain scenarios where doing so might actually be to your benefit. If there is a necessary decision looming and you have a staff member who has been working closely with you on a given project, you may want to allow them to have the final say in what happens. The benefits this can have on engagement levels can be astronomical, and there's a very good chance that the decision could lead your business in a forward direction. Note that this route should only be taken if the decision won't potentially end up being costly — anything under $500 should be considered safe. Everyone wants to have as much control over their work schedule as they can, and this is sometimes easier said than done when they have to deal with a calendar that includes set paid days off. Holidays can be something to look forward to, but there are other ways to structure the year that may actually benefit both you and your employees more fully, and one of the most effective is to get rid of set holidays altogether. When you get rid of set holidays, you can effectively add that time to your staff's vacation time, allowing them to completely structure how they'd like to make the best usage of their time off. Seeing how this can be somewhat of a radical shift, you'd have to work out the legal issues (I'm sure there are some), and you'll want to ensure that everyone knows exactly how the new system for taking time off works, stressing that it's actually to the benefit of everyone in the organization. Visual art is the kind of thing that everyone can gain something from, even if they don't consider themselves to be an artist. Most of the time, those who don't identify as having talent in visual art simply need a little push in the right direction, and a little bit of coaching is never a bad idea. If you want to foster a more artistic, engaged staff, then you may want to schedule a monthly art class. Each month, set aside a workday in which either the whole or part of the afternoon will be devoted to bringing in a private instructor that can teach your staff how to paint, draw, or embrace another visual medium for creativity. You can focus on a new medium each month, for example, which is a great, low-stress way to encourage creativity without losing any aspects of fun in the process. Just be sure you choose the right instructor, and don't hesitate to shop around to find someone who can accommodate your budget. There's nothing more important for an employee than knowing that the CEO actually cares. In larger organizations, however, it's common for people to lose sight of this, which often leads to dissention and a lack of engagement. Keeping CEOs and their employees connected whenever possible is essential to improving levels of engagement within your organization. Each month, hold a "birthday breakfast" with the CEO and everyone who shares a birthday in that month. 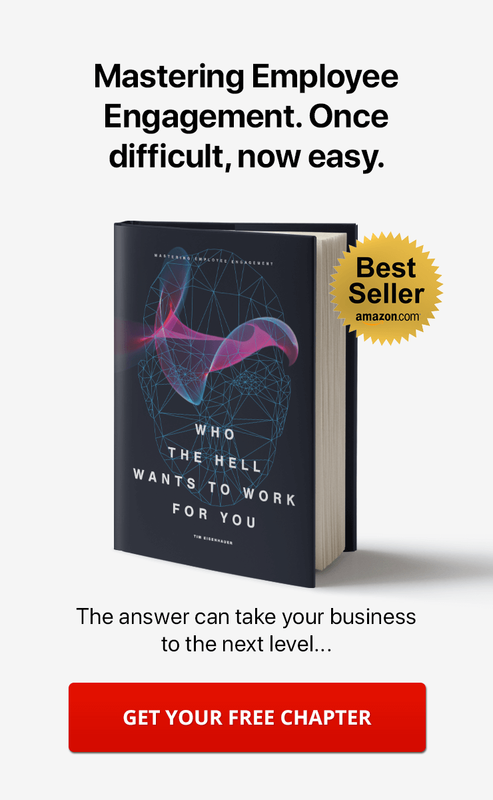 This is a great way for CEOs and their employees to get to know each other on a more personal basis, but it also gives people the opportunity to ask questions should there be something they've wanted to bring up for a while. The transparency that comes along with an informal breakfast or luncheon simply can't be beat. What kind of employee engagement ideas do you have? Let me know in the comments section below. Thanks! Awesome. We've been looking for more of this info. 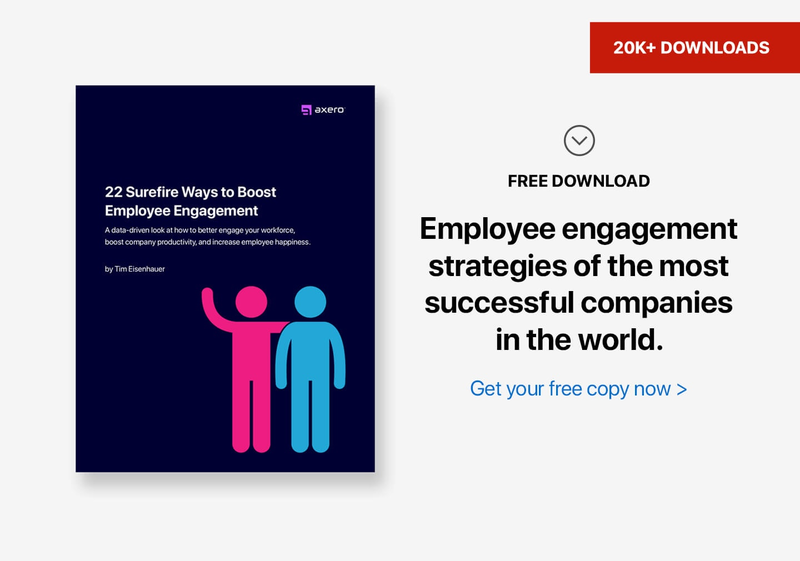 You ebook on employee engagement is top notch, full of gold nuggets. Thank you. Thanks for reaching out Ryan. I'm happy to hear you got some value from it. These tips are way too awesome:) I just could not stop reading these. Elizabeth, thanks for your comment. Glad to hear that you enjoyed reading them. hi there!!! Can any one help me with the data on HR Initiatives ? As well as with kinds of HR Initiatives in the current era ? I become a loyal fan to read the article written by Tim, since I do get lots of insight from these posts. Great thanks to Tim. Violet, I appreciate your kind words. Thanks for reading. I'm glad you're finding value. Thanx alot Mr. Tim... Your article is really appreciating. I got alot to learn out of it for formulating an Engagement Calendar. Anchal, thanks for your input. Glad to have you around. Hey Tim, this is great stuff. Keep these ideas coming. Really appreciate it! Hi Cameron ... thank you for touching base. Let me know if there's anything I can do for you. Adorable and need to follow. Thanks a lot Mr. Tim for sharing such a nice article. Actually i was searching some article on employee engagement from couple of days , and here I got the one. Keep posting. Nice to hear from you Pryia. This article is full of insights into employee engagement, Tim. Way to go!! Also is there any way in which a CEO could connect well with his trainees? Please suggest. Kartik thanks for your comment. Albert Schweitzer said, "Example is leadership." For many companies, walking the talk is the hardest task there is. In the long run, being "real" is the only thing that works with people, so it's worth a shot. Talk to them, mentor them, be their coach. Be present and let them know you're available to help them with their work. If you can't help them directly, introduce them to someone that can. Make the introduction. Remember, connecting with someone at work doesn't always have to be about 'work'. Get to know your people and what makes them tick. When you show a genuine interest in someone, what they're all about, their interests, their goals, and aspirations ... it's going to be so much easier to connect with them on a human level. Thank you..fr d information..its complete...is very useful for me to work on Employee engagement Questionnaire..
Hi! Thanks for this list, I have many great things planned based off of it! One for me to add, and it's more on the Teamwork end. We celebrate a goal that we accomplish as a team, not just as individuals. That way we're all engaged with helping each other as well as ourselves. Thank you for your comment! Glad to see you got some value out of this. Really awesome article! Thanks for such a good content! Bestest one..Thank you so much for sharing with us, we learnt many things from it. Thanks for sharing these activities. I'm gonna share about this article with my GM-HR. I know she will be happy after knowing these activities. do you have any ideas about how i can get employess to complete there online mandatory training? Great article - I'm about one year into managing my library branch in a regional system. I've got a lot of ideas brewing from your ideas. I'll share here in case they are of use to someone else: At previous staff training days, I've had anonymous compliment bags where staff members are asked to think of one positive message/compliment to give to another staff member. This gets people thinking positively about one another and it's nice to have staff feel recognized by everyone. A "genius file idea repository" where they can leave notes about how to improve anything at work - patron experience, staff experience, etc. so that they have input at all times. Set up a "relaxation station" in my office or a "take a break" station - encourage them to take their 15 minute breaks, set up a candy bowl, set out coloring pages, word searches, or sudoku for quick stress-relievers, and some flowers (probably fake - no outside window in my office) to create a little space to encourage stress relief. Encourage networking - shadowing people in other branches and go for a ride-along in the Bookmobile, and job-sharing (I'll have to get our entire system in on this for it to work). Branch Brainstorming - We have branch meetings every month - I give everyone a chance to speak up about whatever they want - but it might be nice to have a brainstorm session where I introduce a specific topic to address and group-brainstorm on it for 10-15 minutes. Question of the week: on my dry-erase board on my door, set up a question every week that allows them to express something about themselves - which might start funny conversations or dialogue with other staff members. Giving back: We can set out community donation boxes where folks can donate to a local charity (food bank, International Rescue Committee, SPCA, books for underprivileged kids, etc.) - have my staff let me know what cause they want to support. Sick time: we have sick time and annual leave. I'd love to see if our company would allow us to use sick time for personal wellness and hygiene like haircuts, massages, etc., which boost moods and make us feel more confident. Just some ideas I've tossed around. Would love to see more people post concrete ideas, too! Hi Tim, a massive thanks to you for giving such a nice and brilliant points for employee engagement, I have tried reading at many places but the way you have elaborated things and simple thus impactful ideas are super brilliant!!! I love these! Especially the idea of holding a potluck lunch. Coming together around food is a great bonding experience! The office could also consider a weekly snack social! It was an awesome blog post I have read till now. Thank you for such beautiful insights.